Season two of Supergirl is a go. Deadline reports the freshman CBS series has been renewed for a second season, which will air on The CW. 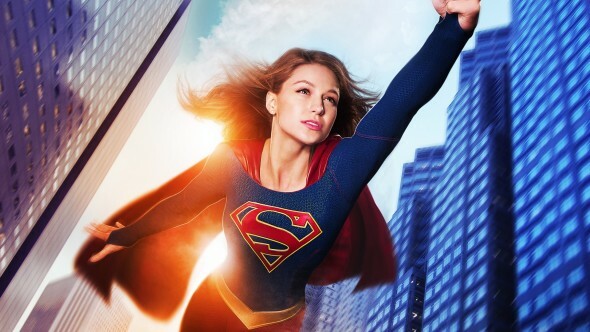 The drama, which stars Melissa Benoist as Superman’s cousin, Kara Zor-El, ended its first season in April. Earlier, we reported there was heavy speculation the superhero drama would be moved to The CW due to CBS’ concerns over the series’ large budget. Also, the show already has a connection to The CW’s several DC series. In March, CBS aired a crossover episode of Supergirl with The CW’s The Flash. The episode was one of the highest rated during Supergirl‘s freshman season, earning an average rating of 1.71 in the 18-49 demo and 7.166 million viewers. Overall, ratings for Supergirl‘s first season were good, with an average of 1.68 in the 18-49 demo and 7.684 million viewers. To cut costs, season two production is reportedly moving to Vancouver, where producer Greg Berlanti’s other CW DC series, Legends of Tomorrow and The Flash, already shoot. What do you think? Did you watch Supergirl? Will you watch season two on The CW? More about: CBS TV shows: canceled or renewed?, Supergirl, Supergirl: canceled or renewed?, The CW TV shows: canceled or renewed? I’m glad supergirl was continued it’s the best. I wouldn’t watch because Jimmy Olsen is supposed to have red hair and freckles. Supegirl is a very exicting series, they must make more than 2 season. So when does season 2 start? I LOVE SUPER GIRL!!!!!!!!!!!!!!!!!!!! TOTALLY WATCHING SEASON 2!!!!!! !